DETOX & EXERCISE — A WAY TO RELIEVE STRESS! We continue introducing you to new members of our Wyoming Weddings team with Wendy Bider, Executive District Manager with Arbonne International! Wendy is a PE teacher from Rock Springs, and knows all about the importance of living a healthy lifestyle! Wendy’s going to share her tips on health &amp; wellness as you approach your big day, and also share some tips on skin care and color! Wendy’s got lots to bring to the table — we’re excited to have her on our team! Questions for Wendy? Email us at brides@wyomingweddingsonline.com and we’ll pass it along to her — or email Wendy directly at brockjo3@gmail.com! Your questions may just make it onto this blog! Eliminating the amount of stress a bride might deal with prior to her BIG day? A wedding planner, having a budget, delegating some of your responsibilities, rank among the top of the list of to do’s. Most importantly, you need to take care of YOURSELF. Taking care of your SELF should be on the top of the list as one of the most important ways to eliminate stress. Since marriage is one of the top 10 stressors of all life events it is important to put things into perspective, taking that personal time to exercise, detox, and mentally recharge your brain can be very beneficial. Exercising four to six times a week for 30 minutes or more can burn off stress-related hormones and give the mind a chance to relax. Cardiovascular workouts combined with some weights can tone and trim the body. In conjunction with an exercise routine, adding in a seven to ten day detox can help the bride with eliminating toxins from the body. Eliminating toxins like pesticides, artificial sugars, and allergenic foods can improve energy levels, help shed pounds, and clear up your skin. There are many good detoxification processes out there, one of the best is Arbonne’s 7 day cleanse. Mixing the detox with 32 fluid ounces of water and drinking it over a few hours allows the liver and kidneys to cleanse the toxins out. The liver and kidneys are the body’s filtering organs, when they’re clean your body can run efficiently. You may be asking…will I be in the bathroom 24-7? The answer is NO! The detoxification process is a mild yet very effective way to cleanse. This detoxification process works on eliminating chemicals that affect your memory, concentration and energy. As you get closer to your wedding date a detox will help you keep the focus for that very important day. If you’d like to learn more about detoxing please contact me and I’d love to answer your questions at brockjo3@gmail.com! Thanks Wendy! We look forward to including more topics from Wendy and our other bloggers! Be sure to check our website regularly for new topics and inspiration — we’re your Wyoming wedding resource! Have you picked up your free Wyoming Weddings planning guide yet? Email us at brides@wyomingweddingsonline.com and we’ll mail you one for free! ‘Til Next Time…I’m ready to detox and destress myself! After a BUSY weekend of bridal expo mania, it’s back to blogging! 🙂 Saturday we hosted the Sweetwater County Bridal Expo, pairing with the Homewood Suites &amp; First Comes Love Bridal in Rock Springs. THANKS to all our fantastic vendors, and AWESOME attendees! What a show! On Sunday, we participated in the Laramie Bridal Expo. Thanks to Dan D Party Corner for their awesome work, and Ludwig Photography is the co-sponsor of the event. AWESOME turn-out, and we greatly enjoyed more networking opportunities. We LOVE bridal expos!!! Cody’s Bridal Expo was Saturday as well, and thanks to David Huber Photography &amp; Pre.Veil Events for having our books on hand! We heard they flew off the tables! 🙂 Dave said the turn-out was GREAT in Cody — if you missed picking up a book in that area, just holler — we’ll be happy to send you one for FREE! Email us at brides@wyomingweddingsonline.com to request a free planning guide! Today, I’d like to introduce you to Embellish Productions of Laramie — a dynamic duo of planners that take pride in making your day extraordinary! Read up on them below, and be sure to visit their website and Facebook page for even more info and the chance to visit with them! Welcome to Embellish Productions! 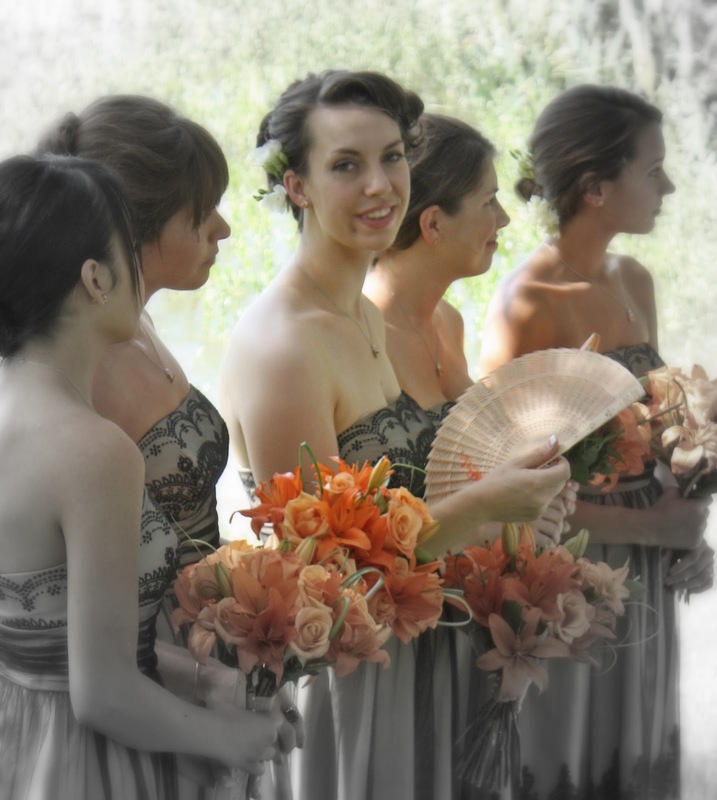 We’re a detail-oriented team of wedding and event planners based in Laramie, Wyoming. We got the idea for Embellish while out on one of our many lunch dates. We were discussing, once again, our shared obsession for all things wedding and a mutual desire to start our own business. We’d seen friends start up successful businesses and build from the ground up so we thought, “Hey! Why not us? !” And thus, the Embellish duo was born. 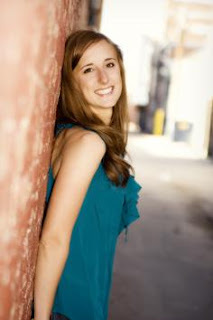 I’m Rachel and I absolutely live for weddings! From the proposal to the place cards, there’s not a facet of the planning process I don’t love. Details and do-it-yourself projects are my specialty. I love designing each element of a wedding from save the dates to jaw-dropping receptions. My imagination is an asset to the Embellish team and I can’t wait to share design schemes and advice to help you plan the day of your dreams! Hi, Emily here! I believe there’s nothing better than seeing a bride and groom completely happy and stress-free on their wedding day. From making sure that vendors are top quality and creating a timeline that lends itself to complete delight for you and yours—planning is my gift. I love the challenge of problem-solving and orchestrating a flawless day. And with my personal favorites, clean lines and simple elegance, I’ll make sure your day is not only smooth but stylish! We’re so excited to be a part of the Wyoming Weddings team! We’ll meet you right back here and dish on all our favorite wedding trends, planning advice, and tools to build a lifetime with the one you adore. Here’s to love! Thanks ladies! And I had to throw in this image with the yellow door because I just ADORE it! What an awesome pop of color! Embellish will be chiming in on their planning tips and pearls of wisdom — so be sure to check back regularly! We’ve got LOTS more additions to the Wyoming Weddings team to introduce and more informational blogs coming — we strive to be your source for Wyoming wedding inspiration! We’re excited to feature a post from Mountain Valley Bridal in Laramie! 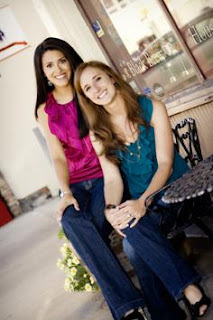 Owner Kelli Erickson and manager Amanda Juarez make your special day their priority! 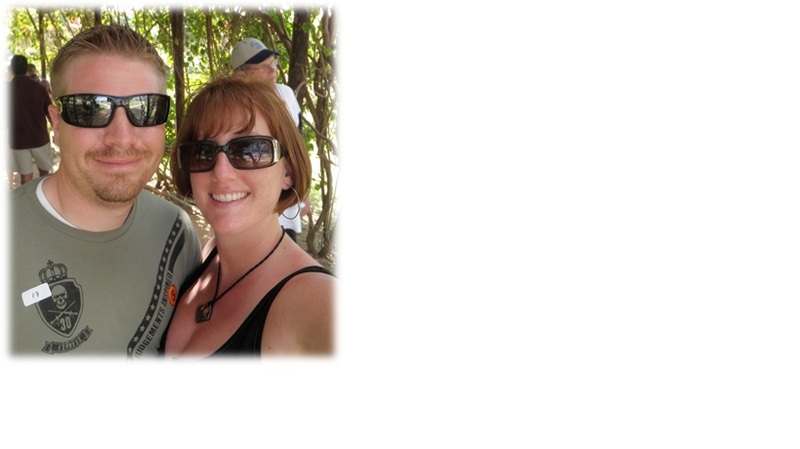 Below Kelli shares their business and philosophy…be sure to visit them online and on Facebook! Congratulations on your engagement and your upcoming wedding! 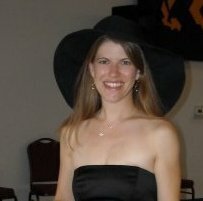 My name is Kelli Erickson and I am the owner of Mountain Valley Bridal located in historic downtown Laramie. We have been in business since October 2007 and we have had the privilege watching the shop grow every year because of fantastic brides like you! We carry bridal gowns by Jasmine and Alfred Angelo, mother of bride/mother of groom dresses by Alfred Angelo, bridesmaid dresses by Belsoie/B2 and Alfred Angelo, flower girl dresses by Alfred Angelo, and tuxedos and suits by Jim’s Formal Wear. We are a full service bridal shop, so we can help outfit your entire bridal party! Our motto is “Helping Create a Breathtaking You” and we strive to help provide the most positive experience and ease in planning your wedding attire. We also provide our customers with a wide variety of jewelry, veils, garters, and wedding party gifts. The shop is constantly evolving and changing, so we encourage our brides to continually come in and check out the latest and newest trends in the bridal world. As a locally owned small business, we are able to give our customers fantastic one on one customer service that is catered specifically to you and your needs. We strive to help make the sometimes stressful event of planning a wedding easier. We also sell gown preservation kits for after the big day. Many of our brides buy the package, and as a courtesy we will do all the work for you! Here at MVB, we understand that every bride is unique and different in their needs for their big day and we are honored to help out any way we can. We also recognize that there are a lot of bridal shops to choose from, and we would appreciate the pleasure of serving you, your wedding party, and family. We welcome you to come to the shop at 220 S. 2nd St. or call us at 307-742-9771 to set up an appointment to try on some of our gorgeous in-stock gowns. 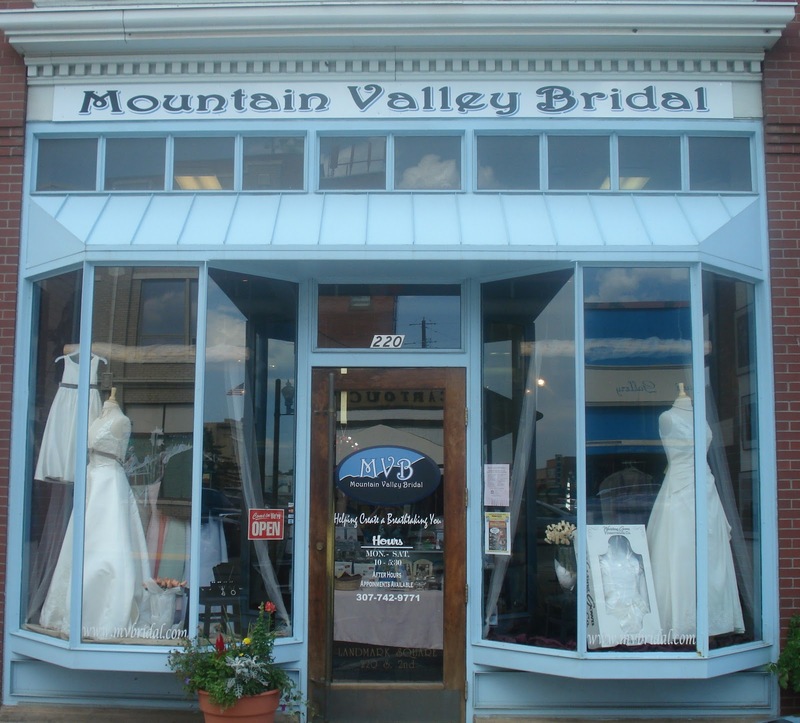 We welcome YOU to become part of the ever growing Mountain Valley Bridal family! Thanks Kelli! We have many great local shops in Wyoming — shopping local gives back to your friends and neighbors, and allows them to offer you fantastic customer service! ‘Til Next Time…we’re digging up fun topics for you every day! OR OUR SISTER PUB, WYOMING LIFESTYLE MAGAZINE! 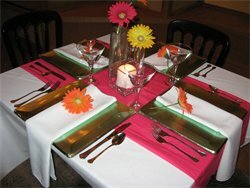 Plan some FUN for your reception — here are a few unique ideas and one AWESOME service from a Wyoming vendor! We attended a wedding this summer that was FULL of fun! They were married on the largest day of our hometown celebration in Laramie, Laramie Jubilee Days. The day includes a parade in the morning, downtown activities and rodeos and a carnival and street dance at night. They included the day’s festivities in their celebration by having a float in the morning’s parade! The float was so much fun — covered with ‘Bride’ and ‘Groom’ and pictures and decorations…and the wedding party dressed in t-shirts that gave their role in the wedding! They had scooters, they had people walking, it was just a lot of fun — and the community was excited to get to cheer on someone’s wedding! When it came to their reception, they kept the fun rolling with a really unique wedding reception favor — LOTTERY TICKETS! At each place was a Colorado lottery ticket that they purchased for their guests. (And guess what?! I won $37!) 🙂 The guests were buzzing about what a fun and unique idea this was! 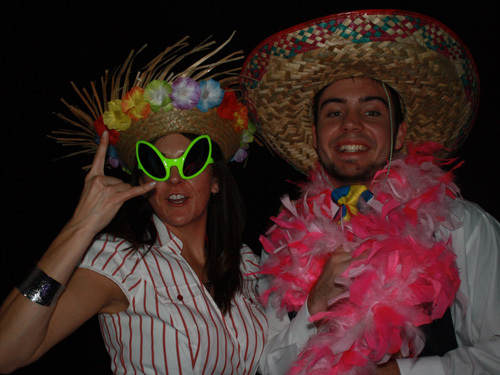 When it comes to another fun idea, we’ve got a Wyoming vendor that we highly recommend — Wyoming Photobooth in Casper! Photobooths are becoming more and more popular at wedding receptions — what a great way to capture your guests fun-loving personalities! 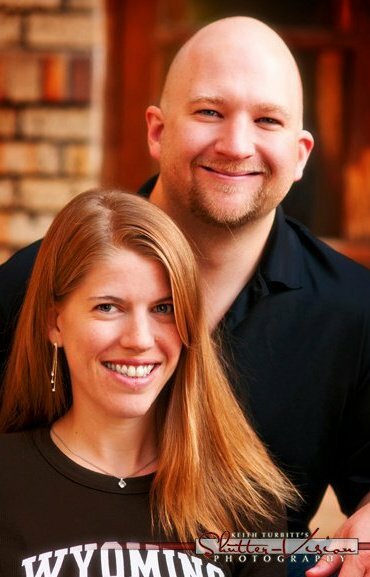 Give Tom &amp; Robyn a call — they are excited to provide the FUN for your reception! What FUN are you planning for your reception? Finger foods? Fun favors? Fun colors? Special dances and traditions from your family? This is YOUR day — celebrate, kick up your heels and have some FUN! Contact us and share your FUN for your reception — we’d love to share it on our blog and social media sites! Till next time…I’m having some FUN finding topics for this blog! 🙂 Be sure to check us out on Facebook to see photos shared by photographers, meet others and stay connected! Or Twitter — at ‘wyoweddings’! Get to Know Your Valentine! Thanks to Dr. Fluellen for sharing her insight with us! Have questions? Email brides@wyomingweddingsonline.com and connect with Dr. Fluellen! Love is in the air! Not only are you planning a fantastic romantic wedding, but Valentine’s Day is just around the corner, which only adds to your amorous feelings. Cherish those feelings and enjoy your relationship as the passion is still new and fresh. For many of you, this may be the last Valentine’s Day you and your significant other have before you have joined together in marital bliss. Next year’s Valentine’s Day as a married couple will only be better! Or will it? I don’t want to instill any anxiety or self-fulfilling prophesies into your relationship, yet I do want to share some very real and practical advice about your soon-to-be newly married relationship. As a psychologist, I hear stories all the time from couples who mourn over changes in their romantic relationship that occurred after the big day. What happens? Was your significant other just putting on a good “show” for you during courtship? The answer may fall somewhere between “yes” and “no”. While all relationships are different in their own way, there is some universality to changes in relationships after marriage. Your significant other may not have intentionally tried to put on a good show and hide their flaws (like the fact that he/she often puts an empty milk carton back into the fridge or that he/she has a little bit of a jealousy streak), but it is normal for us to put more effort into showing our good sides, than our not-so-pleasant sides. Imagine the peacock that proudly boasts it huge plume of beautiful feathers to attract positive attention from a mate. Reality is that we can’t sustain that plume forever. At some point, we have to put our feathers down for a while. For some couples, this doesn’t really happen until after marriage, especially if your courtship was relatively short (my rule of thumb is serious dating/courtship for at least a year). So expect this to happen sometime soon and just be ready for it. How can you be ready for it, you ask? I offer two recommendations: 1) Show some grace to your significant others’ shortcomings. No one is perfect, and if you only knew how they really felt about your flaws (that your chew your toe nails and spit them onto the floor in front of the couch), you might wish they showed you a little grace as well. 2) Talk with your spouse/fiancée about what your expectations are in your relationship (including how to handle special occasions like Valentine’s Day), how you want to be treated, and how you want to resolve the conflicts when they inevitably come up. If you both have already talked about each of your expectations for the relationship (that you want to spend every other Friday night out with the “girls” or your “buds”) and have a mutually satisfactory arrangement, then that can go a long way to avoid your mate’s imperfection, the green ugly monster of jealousy, from rearing its ugly head. No relationship is perfect because no two people are perfect. Yet you can still have the most satisfying relationship imaginable if you plan ahead, talk with each other about what you think and feel about things, and show each other a little grace when needed. Thanks Dr. Fluellen! Stay tuned for more advice, tips, trends, inspiration and MORE! (Yes, there is MORE on the way!) Questions? Want to contribute too? We’d love to hear from you! Please contact us at brides@wyomingweddingsonline.com! ‘Til Next Time…I’m going to thank my Valentine for tolerating my flaws…for the last 10 years now! Today’s topic comes from Pre.Veil Events in Cody, Wyoming. Mandy, owner of Pre.Veil Events, will be sharing her wisdom with us when it comes to planning your perfect wedding that fits your personality… Be sure to visit her online! Today, Mandy’s discussing how to make your wedding the best for YOU — because that’s who this whole day is about! The two of YOU! The question has been asked and you said “Yes”. From now until the day you say “I Do” you’ll receive an overload of advice on what your wedding should be. There can be a lot of pressure to make sure that everyone around you is happy with the look and feel of the wedding. The most import thing is that you, as a couple, have the day you’ve always dreamed of. Don’t be afraid to add your personalities into the ceremony and reception. There are lots of fun and beautiful ways of making the day truly yours. Adding elements that are unique to you will be some of the most memorable parts of the day. It’s really trendy to add bright fun colors to your wedding palette. Roses are not for everyone, pick something you really love. And it doesn’t make a wedding any less flawless to walk down the aisle to something other than the wedding march. Each detail that is true to you will only enrich the day for you and your guests. Above all, don’t spend your entire engagement being stressed about your day. Enjoy yourself and have fun. If time is an issue or just the idea of having to plan something makes you sweat. Remember that there are professionals who can help. Hiring a wedding planner can give you the opportunity to relax and enjoy being in love. A wedding planner can give you advice and ideas that help you share that unique love story. Thanks Mandy! Communicating your own personal wants & needs as a couple to each other is essential — as is communicating with your parents, family, friends and wedding service professionals! Be sure to tell them what you want — so that you get the wedding that suits YOU! It makes a wedding professional happy to see that you’re happy — so be sure to let them know what will get you to that point! Until next time…keep up the communicating! Play with Patterns — Make Your Flowers Sing! Welcome to our blog! We have many experts — all from Wyoming! — chipping in their knowledge and expertise to help inform and inspire you along the path of wedding planning! Today, we’re featuring a new post by Sarah Merill, owner of SuiteBlooms in Cheyenne…Learn how to make your flowers pop using patterns — and be sure to visit her on Facebook! Be ready to meet more bloggers and columnists daily! We’re your daily inspiration and planning resource for all things WY — have you picked up our 2011 planning guide yet? It’s FREE and we will gladly mail you one! Contact us at brides@wyomingweddingsonline.com ! My latest obsession: Flowers with pattern! One of the most visually effective elements of design is pattern, often because it adds a degree of contrast to a work of art or a room’s design scheme. Consider the following example: Pinstripes can convey a sense of formality, whereas Polka Dots induce a whimsical, carefree spirit. As a bride to be, you have probably already thought about your wedding colors, the overall feel, and the formality of your day – now let’s consider how pattern can impact your bouquets and floral designs! Look carefully at a Stargazer Lily and you will notice that, in addition to having a pink center with a clean white edge, they are spotted with a deep burgundy. 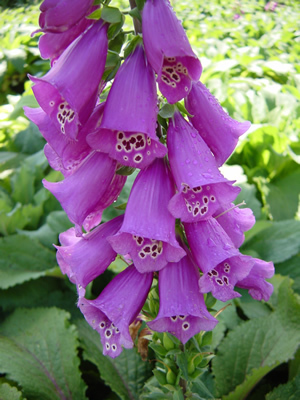 Fox Gloves are another example of a speckled flower, but have a more relaxed feel. Want something more exotic? Vanda Orchids never fail to impress, thanks in part to their purple and white near-gingham print. 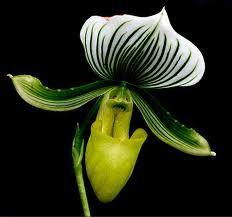 Opt for Lady Slipper Orchids for a crisp green pinstripe (bonus – most people have never seen one and will have to take a second look.) 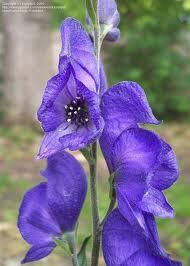 Monkshood Flower has a more subtle pattern complimenting its rare hooded form. Notice the deep blue violet vein running through their petals. 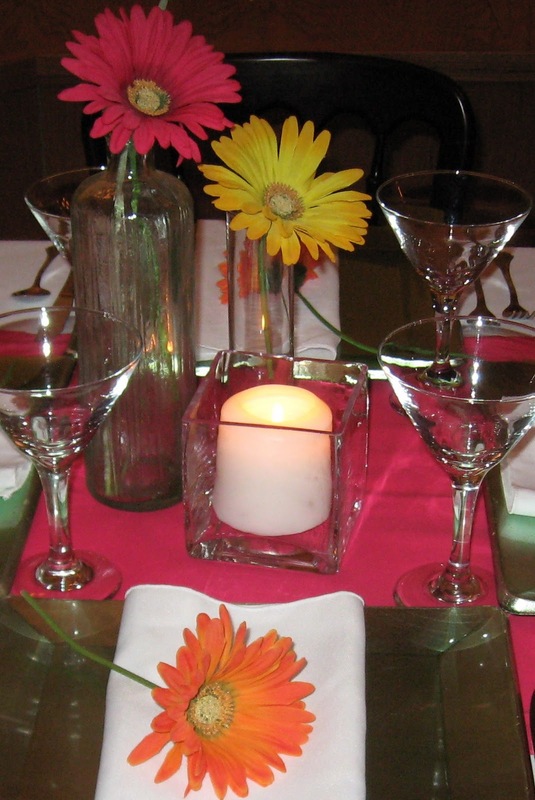 These are perfect to add visual interest to a centerpiece that people will have time to sit and enjoy. The velvety frills of Cockscomb seem to squiggle endlessly like the doodles in your junior high school English notebook. 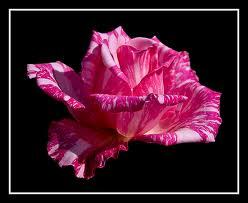 Even the seemingly commonplace Rose has some rare striped varieties. 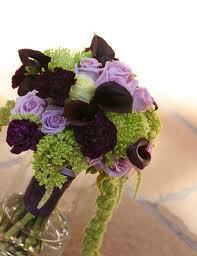 An artistic florist can help you to think beyond your choice of wedding colors and season when selecting flowers. Before I meet with a prospective couple, I tell them to bring their invitations and other details they want included in their special day, no matter how small. This gives me a concrete idea of their overall style and helps me to understand the feelings they hope to evoke on their wedding day. 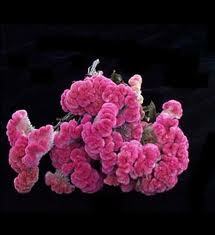 Then I can assist in reproducing these feelings in their floral décor. Often it is the small details that can be repeated to unify the entire day. So as you plan, remember to give all your wedding vendors a complete picture of your wedding theme and style, and don‘t overlook pattern as an effective way to impress your guests and create a unique wedding experience. This bouquet by Sarah Merrill of Suite Blooms &amp; Designs uses pattern to capture attention! Thanks Sarah! Please be sure to visit our website to connect with other Wyoming wedding professionals! Your Weddings Colors — Looking for some INSPIRATION? We have been discussing WEDDING COLORS around here, and it made me think…what’s on Pantone’s list this year? Pantone is a fantastic place to explore color – and this year, they have named honeysuckle pink as their Color of the Year for 2011! Enjoy this COLORFUL time in your life! CALLING ALL WYOMING WEDDING BRIDES!!! We want to hear from you! We’re looking for the most unique wedding colors in Wyoming — think yours might be it? Send us your colors (including photos if at all possible!) and we’ll put it up to a vote! Check our social media (links below!) for more info and to vote! Submit your colors by February 28, 8 PM MST! Send your color submissions to brides@wyomingweddingsonline.com ! And for the winners? We’ve got a set of great WY Weddings apparel coming to the bride &amp; groom who win! ‘Til Next Time — Keep those Beautiful Colors in Mind!